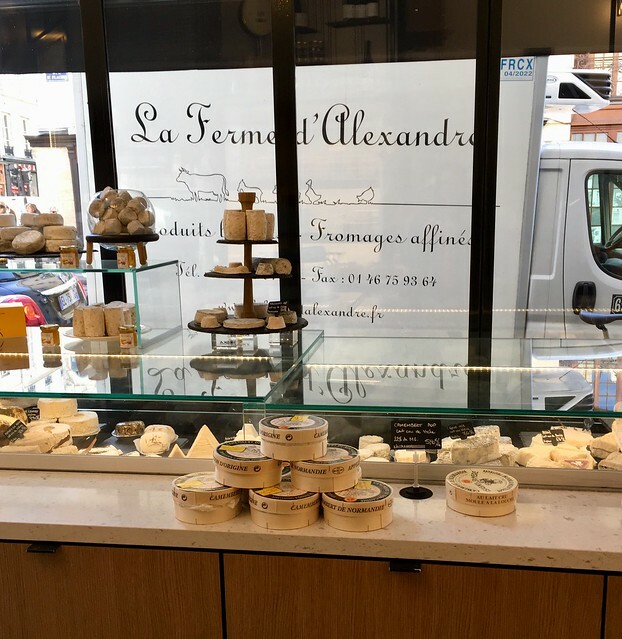 Located just a block away from La Grande Épicerie in Saint Germain, la Ferme d'Alexandre doesn't feel "off the beaten path," but I wanted to share it with you anyway. I've come to love this place, not only for their fabulous cheese selection, but for the kindness and knowledge of the owner Alex, and the entire staff. 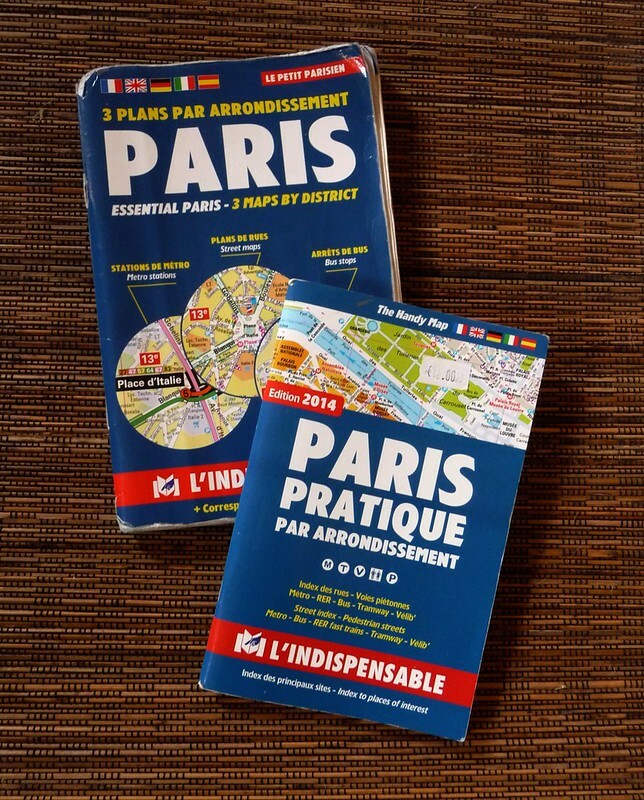 I shop here every week to buy fromage for the French cheese workshop we offer at Paris by Mouth, so I've gotten to know them and what they offer very well. And if you follow me on Instagram, you've most likely seen many of their cheeses and their beautiful blue and gold tile floor! 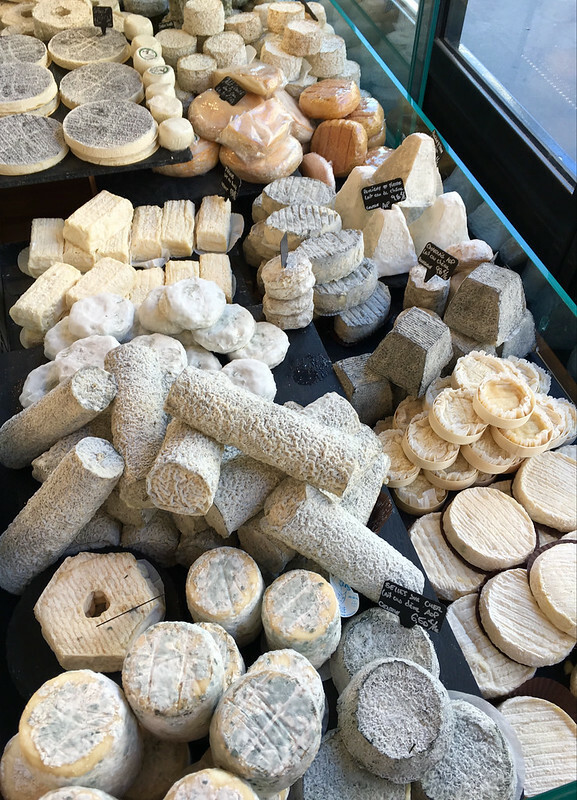 They always have some interesting sheep milk cheeses from the Pyrénées and right now their goat cheese section is amazing! 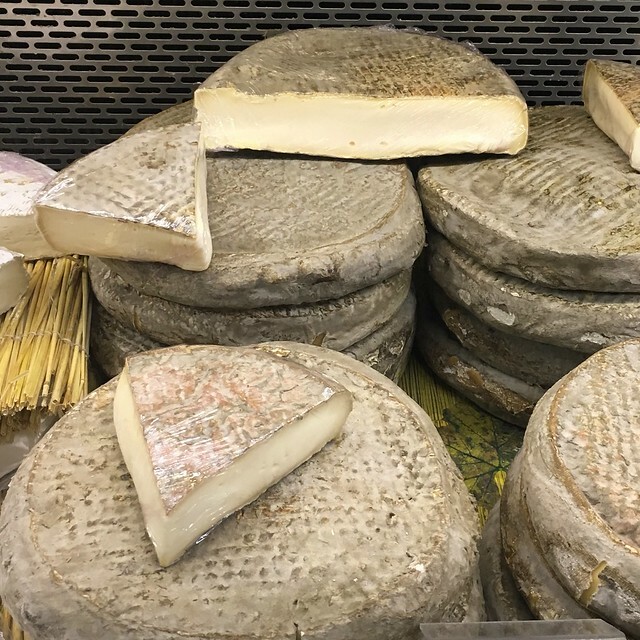 You can also find the last raw milk farmer produced Époisses in France here, as well as a handful of delicious Italian cheeses. 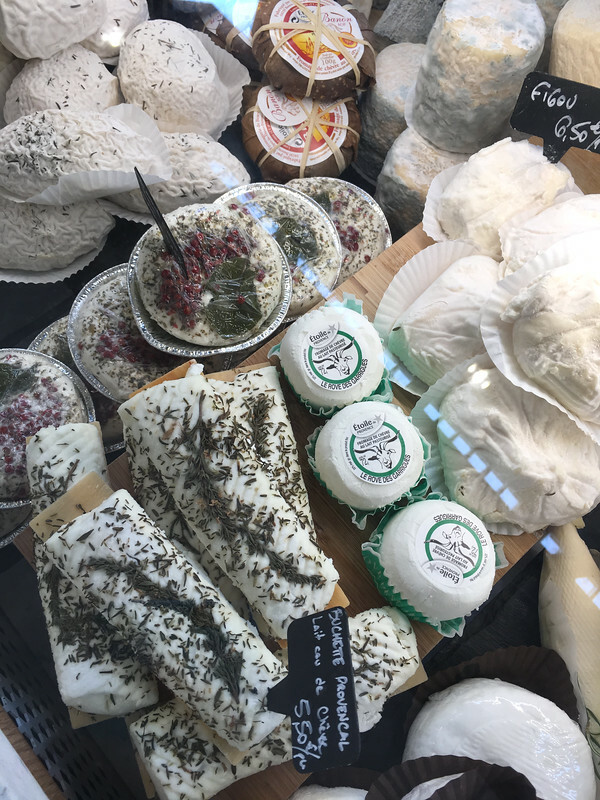 And in addition to cheese, there is a good selection of charcuterie, unpasteurized butter, cream straight from farms in Normandy, honey, small producer wine and jam, and bread on the weekends. 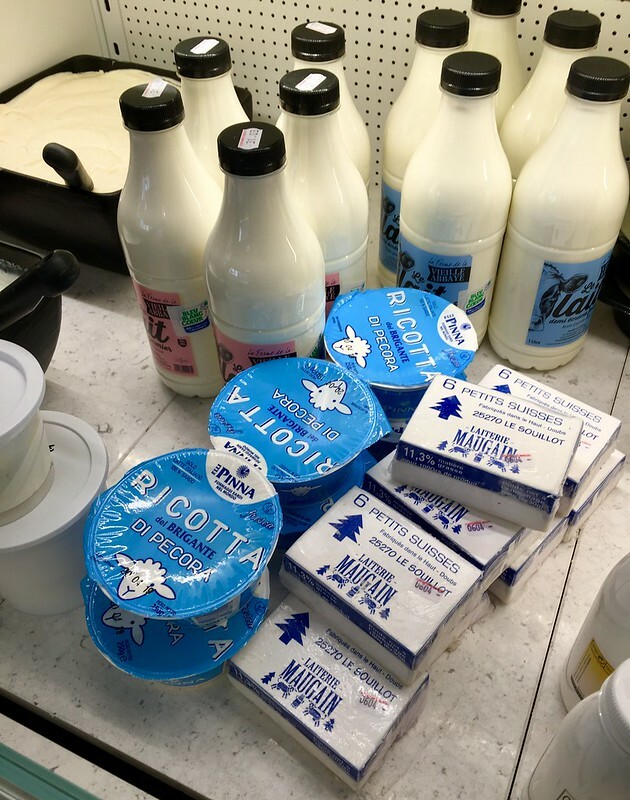 If you find yourself near either of Alex's fromageries, they are definitely worth a visit! 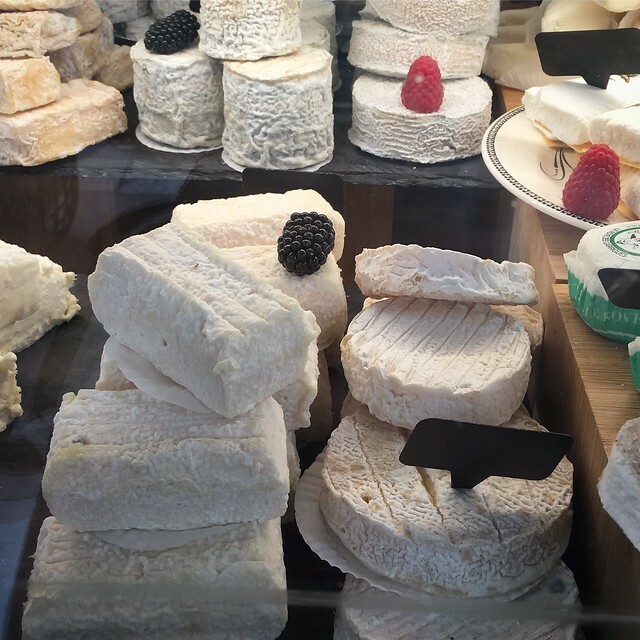 French cheeses are works of art.